The CMB NA teams took part in the “Ontario Transportation Expo” (OTE) from 9th to 12th April at the International Plaza Hotel in Toronto. 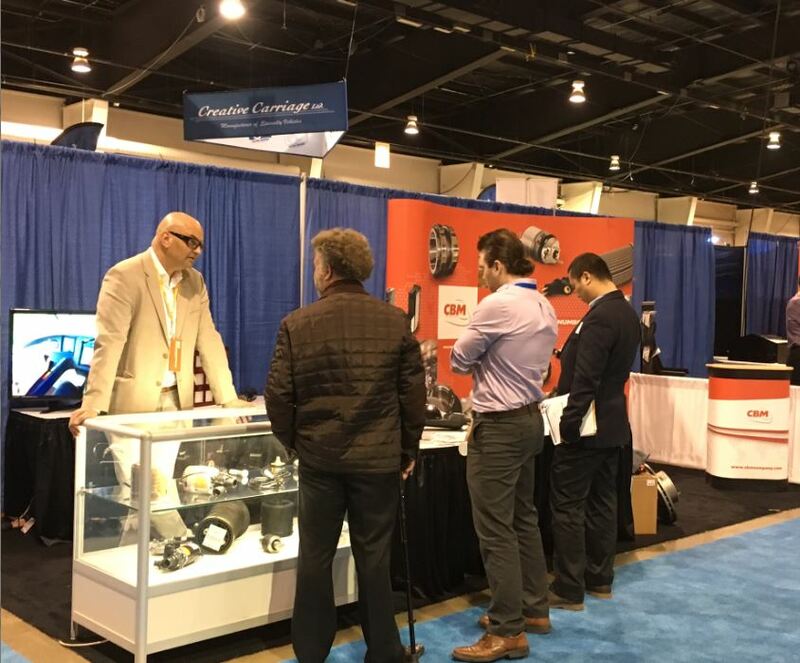 During this very busy trade show, our Canadian teams were able to meet and exchange with many stakeholders in the Canadian and northern US transportation sector. According to Mathias Urban, Director of CBM NA, many visitors showed a real interest in our ranges of parts exhibited, and particularly our coach parts. The new contacts made during these four days are encouraging and lead us to believe in solid development of commercial activities in Canada.